In order to be successful and rise above the clutter, serious B2B companies are starting to pay more and more attention to content marketing. B2B companies devote large budgets to placing ads in industry publications or building large and expensive booths at trade shows. With marketing budgets under pressure, and with classic marketing techniques being less and less efficient, being found and being relevant to buyers has become the mantra of many marketers. If content marketing is becoming critical to your company, it is time to start taking it seriously. This blog post is not intended to give you a step-by-step detailed guide on how to do this. There are many great resources out there. It does however try to guide you on what you should do before diving into developing your own content marketing strategy. With all the great guides on how to do content marketing, content marketers still face challenges. Great forces in our industry are influencing marketers around the world. Marketing automation vendors like Marketo, Hubspot, Eloqua and others are evangelizing the concept of content marketing in B2B, or inbound marketing as some call it. Apart from discussions on what’s the best, or the different between inbound marketing or content marketing, basically these terms refer to marketing strategies which are highly intertwined. 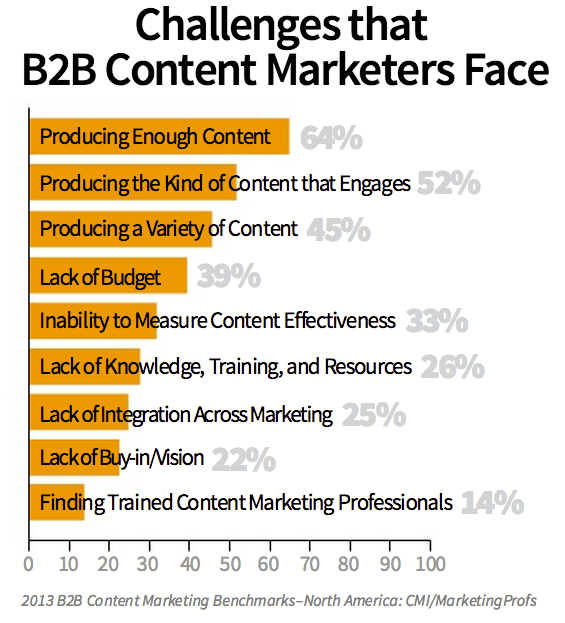 The amount of information about content marketing in B2B is daunting. There are many great resources out there, like the getting started guides on Content Marketing Institute, Copyblogger, the Marketo Content Marketing Machine (PDF), and Eloqua’s Grand Guide to B2B Content Marketing, and this great guide from Openviewpartners (sorry for all the other great guides out there not mentioned). You could start by reading them all. It will give you insight in some ideas how you can implement content marketing from a methodology point of view. But it will also make you unsure of what you need to do. It will all seem so overwhelming. And still, with all of these guides and hints-n-tips, content marketers still face challenges like producing enough engaging content, as recently made public through a survey from CMI and MarketingProfs. And that’s a research about content marketers already applying this stuff on a day-to-day basis. If you are only starting with content marketing in B2B, or you are struggling on what to do first, all these resources will not give you a holistic view of how you can build the correct foundations to embed content marketing as a crucial element of your marketing strategy. Every company is different, every organization is different. In the end you are the only one who can judge which elements of the different content marketing methods are relevant to your buyers, markets, business and organization. Follow one of the online guides I mentioned before: the disadvantage of doing this immediately is that you are missing the deep understanding which you need about this domain to make the right judgements as you go. You will be spending time on stuff which is not relevant or needed for your business, and you will be doing other elements of the strategy not profoundly enough to succeed. Do it quick-n-dirty: publish first, ask “why” later. See what Robert Rose has to say about that in the below quote. Or you could check-out the approach in this blog and decide if that’s the approach you want. There’s a couple of things I suggest you do before you dive into making a strategy and framework to make content marketing part of your marketing. Understand the deeper principles behind content marketing in B2B: it is not enough to understand the mechanics and tactics of content marketing. You need to understand and believe the deeper meaning of it. The deeper meaning is providing customers with a different type of marketing. You genuinely must embrace the believe that your marketing needs to become honest, authentic, open and useful to customers. It has to become the only possible way you conduct your marketing. And lastly you need to understand how it will lift your brand and propel you into thought leadership within your industry. Understand how you can monetize content marketing in B2B: it is nice to have a goal to be useful to your customers. But in the end you’ll need to make money. And you will need to understand how you can drive conversion with inbound and content marketing, and what it takes in terms of organization, budget and tooling (marketing automation, websites, CRM …). You also need to understand how you can align your business goals with your content strategy. Understand the relationship between content, digital and social media: content marketing is nothing new. But thanks to the rise of digital media, and social media networks, content marketing has become an antidote against the overload in content, digital spamming and outbound interruption marketing. But content marketing cannot stand on its own. It his highly intertwined with digital marketing and social media. Understand the difference between inbound marketing and content marketing in B2B: as said before, there is a difference between these 2 types of marketing, but what you need to understand is that both need to be combined in order to achieve your goals. You cannot conduct content marketing without understanding SEO keywords, Longtail, E-mail, Landing pages, Forms, CTA’s lead nurturing and progressive profiling. And without understanding blogging, tone of voice, engagement, conversations, listening, editorial calendars, recycling, repackaging, repurposing, amplification and distribution, you won’t be able to do inbound marketing. Understand that planning, content creation, distribution and (social) promotion will need to become a responsibility of (almost) everyone in the organization: it is not enough for the marketing department to start doing this. You’ll need a lot of ‘early adopters’ and ‘believers’ in your organization to back you up on this. You’ll need create a team to support the organization in a lot of these responsibilities. Understand how you can align your content with the interest of your buyers: content that nobody cares about is a waste of effort, that’s as clear as a bell. Content that people care about, but does not drive conversion, is also a waste of effort. You’ll need to understand what content is interesting content for your buyers. What content will break through the clutter on the internet, social networks and the email inbox of your customers. That might sound as a lot of work, and it is. I will not hide that fact, and I am sorry if I am scaring you off. This is a major shift in the mindset for many marketers and companies. This shift will require a lot of understanding of what needs to be changed in order to make your business survive in the next decade. 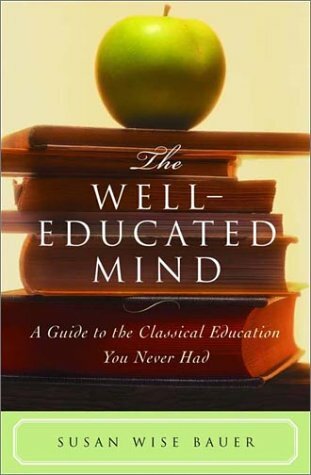 educate yourself: dive into this stuff by reading books, reading blogs, and being truly passionate about this stuff. get yourself educated: if you do not have the time to do all of that, ask people who know about this stuff to help you. Only when you are educated, you can go public and make your case. I do not believe you will pull this off without the buy-in from your management. This is a company wide change cultural change you are trying to make. In a previous blog post I wrote how you can convince your CEO to let you do this. But the CEO and the management team is not enough. The whole organization must be evangelized. Explain the current challenges in this changing world of advertisement overload, content and channel overload and social media overload. Give them insight into how content marketing can help in breaking through that clutter. And explain them that you need their help in providing insight into business issues, threats, opportunities, and problems of your customers. And explain them that the social role of employees is changing. Educate and train management and staff in content strategy and tactics. This will vary depending on the organization, but generally involves three levels of training. First, focus on big picture conceptual training for senior executives to foster organizational buy-in to content initiatives and executive-level support for content marketing. Next, implement strategic training for managers and marketing/communications staff who will be tasked with overseeing content marketing initiatives and whose staff is expected to contribute. The third level is tactical training, particularly in digital channels, e.g., social media, community management, SEO, etc., for content creators in the organization — both within and outside the marketing department. Again, there are people like me and content marketing agencies who have all of this knowledge on how to do this. You also might want to check out a couple of my slidedecks on Slideshare. When you have done the evangelization part and training part, you have done most of the work. At that moment, you’ll have a few followers who believe this is is the way to go. And everyone else is on the same page, and understands the basic principles of what needs to be done. audit your current content: to understand what content you have today, and how it is positioned along the customer life-cycle, perform a content audit. This content audit will reveal what content you have, what content is missing, which content performs, etc. set-up a listening team: if you want to know what makes your customer tick, you’ll need to be listening to him using a listening process. set-up an answering team: listening to your customers will give you insight in the big issues of your customers. These big issues must be linked back to your business objectives. And then you provide answers to these big issues of your customers. In these answers you insert your key differentiators or your believes without mentioning your products or company. This answering team will provide the editorial team with enough input to start deriving content topics and plan content pieces. set-up an editorial team: this team orchestrates all the content creation initiatives, internally and externally. It usually also takes care of reporting on the performance of the content. Up until now I haven’t discussed the prime reason why we are going through all of this effort. You now understand the reasons why this change is needed, you understand how you need to do this, and the next step is to align your business goals with your content marketing strategy. Obviously your prime goal is better business, right? Having a link between the content themes and your business goals will give you a good structure to measure how the content you create within these themes performs against these business goals. OK, now we have covered evangelization and training, organization, and business goals. But what about the rest of your marketing strategy ? how does it integrate with your offline marketing? how does it integrate with your social media channels? how does it integrate with your lead nurturing programs? how does it integrate with your marketing automation tooling? To be honest, if you understand all the previous stuff, inbound and content marketing, you’ll have all the answers to these questions. You’ll see content marketing as… the type of marketing your company does. There is no other type of marketing for you anymore. It will be the most natural way of doing marketing from that moment on. You should not be afraid of all of this. Don’t spend months or weeks trying to come up with a comprehensive plan. Keep studying, keep learning, and get some external help where needed. Go for quick wins in the beginning, and work from there. Step by step, you’ll be implementing a broad culture integration of content, digital and social marketing, all of that nicely intertwined with your existing marketing strategy. You are driving an organizational change and transformation to adopt content as a strategy. As an effect, you start realizing that content is a much more valuable asset that is not only used in your marketing. You start understanding what a content strategy really means. Adopting a content strategy is more than content marketing. It sees content as a valuable asset aligning your business goals with the product, service, and marketing requirements your customers have. Still feel daunted? Don’t worry and keep learning. You’ll get there. Hi Tom, another interesting piece, thank you for this insight. Stuff to think about and like you said, it can be a scary road forward. Thanks Jonas. Glad it gives you some food for thought. Don’t worry about the scary part, as long as you know where you are going, step by step, you’ll get there. Very good insight Tom. Understanding how content marketing can and should be integrated into one’s business strategy is imperative. Thanks Joe. I feel as if many marketers do not fully grasp the depth of what content marketing in a new digital world really means. How is the US doing in truly understand and adopting this vision ?